Another day, another moringa-based formula. I'm surprised by the fact that I don't hear a lot of buzz about this range of oils, by Kérastase, in the blogosphere. 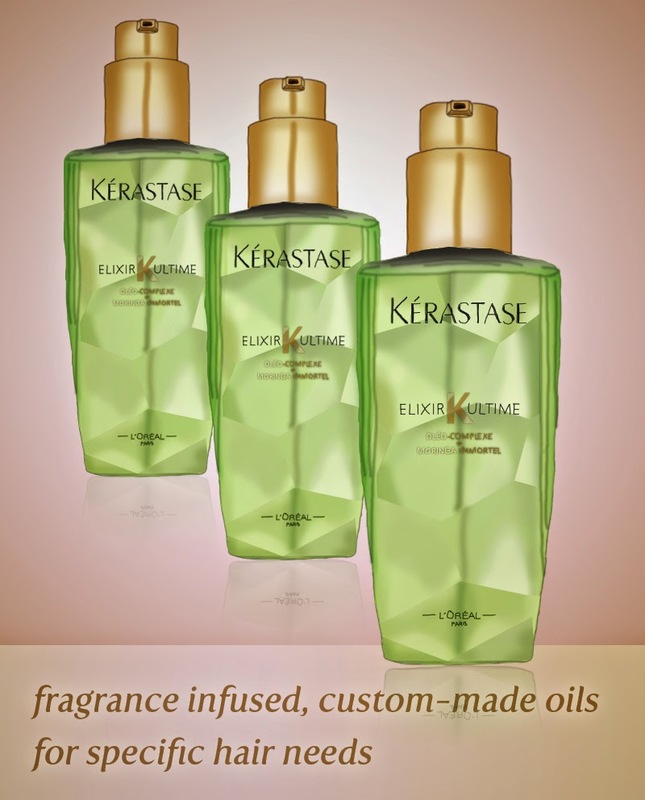 The Elixir Ultime Grand Crus line up comprises four different oils, that meet specific hair needs. As someone who tried and tested quite the variety of hair oils, I wasn't expecting to be this surprised by the performance of Elixir Ultime Moringa Immortel. If you're a carrier of a dry, frizzy and rebellious mane like myself, or just need some TLC due to some chemical processing, this is the version for you. A blend enriched with the Oléo-Complexe and Immortal Moringa extract — known as the "Tree of Life" — enclosed in an elegant bottle. The woody oriental fragrance combined with the lightweight texture of the oil, make the application very pleasurable. It actually shows a long-lasting result, providing nourishment, shine and a healthy feel. Being a multitasking product, it will perform throughout the whole hair care routine. Pre-cleanse or use as an intensive conditioning treatment before washing; apply to towel-dried hair before styling; finish using a few drops to add a polished look; and retouch whenever needed. Aside from its conditioning properties, this oil strengthens damaged hair, delivers essential nutrients and promotes cellular renewal with its antioxidant active ingredients. To keep my coloured, heat styled hair in shape, I'll be holding on to this product for dear life.